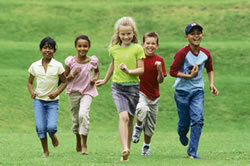 At the Swiss Spine Clinic, we believe that a healthy life style begins during childhood. Children (from infants to young adults) should be checked regularly as they grow in order to identify, correct or prevent future problems. Performing regular checkups will help them reach their ultimate health potential. When should the parents have their kids checked? • If the baby always keeps his/her head turned in the same direction. • Your child walks on his toes without touching the floor with his heels. After major falls, always have your children checked. After minor/major falls, notice if your child has had a change in their behavior (becomes fussy, irritated, sleeping problems, bed wetting, stomach pain). Your child might not be in pain, so watch for other signs that tell you that they need care.